The current onslaught on the Labour Party by Israel’s supporters is simply breathtaking to watch for the scale of its hypocrisy and deceit. The Labour Party has adopted a code of conduct that accepted the IHRA definition but quite sensibly does not accept some of the examples provided by the IHRA that clearly do not fall into the category of anti-Jewish hatred, but are transparently designed to stifle criticism of Israel. How on earth could any political party adopt these “examples” as constituting anti-Semitism when the criticisms of Israel have nothing to do it? 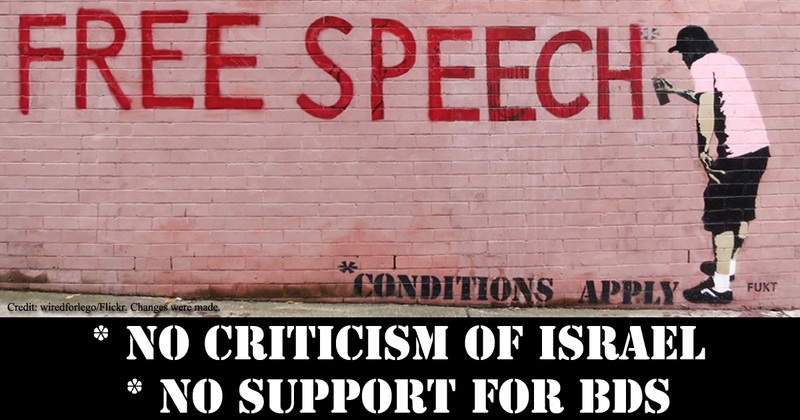 It has long been apparent that many supporters of Israel have been trying to silence critics of Israel by claiming that their criticisms constituted anti-Semitism. If the IHRA definition was accepted in full they could then openly hound critics of Israel out of political parties such as the Labour Party by accusing them of anti-Semitism. One suspects that this may well be the true goal of many of the supporters of the IHRA definition. Amin’s blog includes a link to the IHRA definition where the “examples of anti-Semitism” I cited above are included so he could not have been unaware of this and yet he does not mention them in his article. How bizarre. The ongoing onslaught on Jeremy Corbyn and the Labour Party – often when news breaks of its lead over the Tories in new polls – is a remarkable story made all the more remarkable by the virtual silence of the usual freedom of speech crowd. Where are all those liberals who so vocally criticised Muslims for not understanding the value of freedom of speech when they were protesting against the cartoons of Muhammad or the Satanic Verses? I pointed out in some of my earlier blogs how important it was for Muslims to uphold these freedoms and accept that freedom means that things may well be said that are offensive to us. Well, apart from when they want to criticise Israel’s murderous and racist behaviour towards the Palestinians, right? The most central and attractive teaching of Islam is the concept of Tawhid – the Oneness of God. 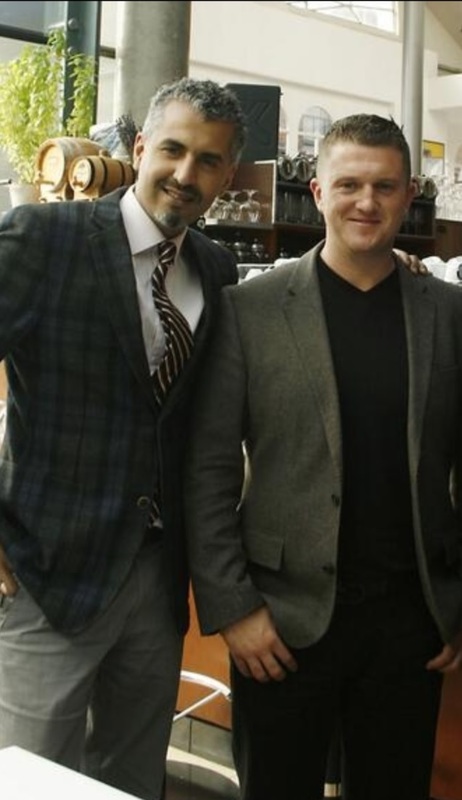 Many Muslim scholars past and present have pointed out that belief in Tawhid should result in a person being wholly unafraid of any power on earth and hence s/he should never be cowed by bullies or dictators of any type including well-organised lobby groups. The only real Power is God. And that really is the truth. Who’s Afraid of President Erdogan? Last month, Turkey held both Presidential and parliamentary elections. They were – according to Al-Jazeera – the 14th elections that the incumbent President Erdogan has taken part in and “he has won them all”. It is a truly remarkable record. In a region where many leaders rule based on the principles of a police state and refuse to submit themselves to a free vote amongst their people, Erdogan’s record becomes even more impressive. 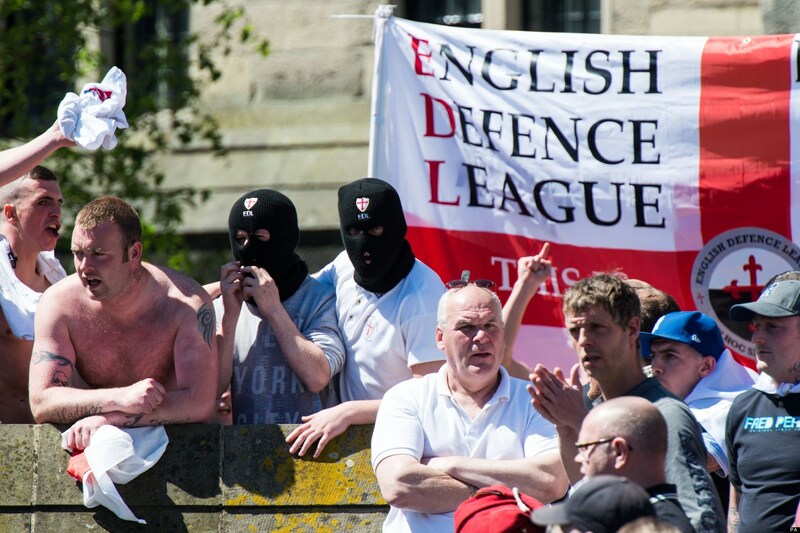 And yet…if we read much of the Western coverage of the elections we were provided with a somewhat different picture. We know that much of the UK press is quite bigoted in its coverage of Muslim affairs. A few years ago, I wrote about how the Daily Telegraph had to publicly apologise to President Erdogan after it published an entirely baseless story alleging that Erdogan had accepted $25 million from the Iranian government for his AK Party. Interestingly, Erdogan had received quite a bit of favourable coverage in the West soon after he and his AK Party came to power in 2002. This changed some years later – particularly after Erdogan publicly scolded the former Israeli premier, Shimon Peres, at Davos for his defence of Israel’s genocidal behaviour in Gaza. You can watch the video here. But what about the Guardian? The Guardian is generally held by many Muslims to be rather more balanced in its coverage of the Muslim world. In the run up to the elections, the Guardian printed two articles by its foreign affairs columnist and assistant editor, Simon Tisdall. You can get a flavour of their contents by looking at how they were headlined: “Recep Tayyip Erdoğan: a dictator in all but name seeks complete control” and “Bully-boy Erdoğan is a threat to Turkey – and the world“. Tisdall warned that “If he gets his way in Sunday’s polls, Erdoğan, a dictator in all but name, is likely to foment further instability in Syria and throughout the Middle East region.” Readers might raise their eyebrows that a journalist from the UK – a country which played such a key role in the illegal war against Iraq in 2003 which caused so much blood to be spilt and fomented no end of “instability” in the region in the years since – is not showing a bit more humility and a sense of introspection, but let’s carry on. Alas, the people of Turkey voted rather differently. It is right to carefully scrutinise those who hold executive power. Far too few Muslim leaders and their policies are subject to proper criticism in their countries. In many Muslim countries – including Turkey sadly – insulting the leader is deemed to be a criminal offence. That is appalling. There desperately needs to be more freedom allowed in Muslim countries. It will be interesting to see how Turkey fares in this regard in the coming months and years. Will Turkey opt for strengthening the institutions of democracy and civil society or will it follow the sorry example of the Middle Eastern regimes? Time will tell. Yet, behind much of the Western criticism of Turkey, one can’t help but sense that perhaps rather different agendas are at work. Just after President Erdogan’s victory in the elections, the US member of the House of Representatives, Adam Schiff, issued a tweet deriding Erdogan for winning by “decimating the opposition through arrests, violence and squashing freedom of the press.” The same Schiff had earlier in June issued a press statement defending Israel after it killed over 60 unarmed Palestinians in cold blood. He said: “These terrorist attacks are outrageous and unacceptable, and Israel appropriately defended itself with airstrikes against militant targets in Gaza. I support Israel’s absolute right to self-defense, and condemn these terrorist attacks by Hamas.” Yes, Schiff’s response to the murder of 60 Palestinians and the deaths of, erm, no Israelis, was to condemn Hamas. That’s right – defend the strong occupying power and condemn the occupied. Can you imagine a senior advisor to any of the Gulf states having the courage to respond like that to a US politician? And perhaps therein lies part of the reason of why President Erdogan and his AK Party continue to be so popular, not just in Turkey, but in much of the Muslim world. 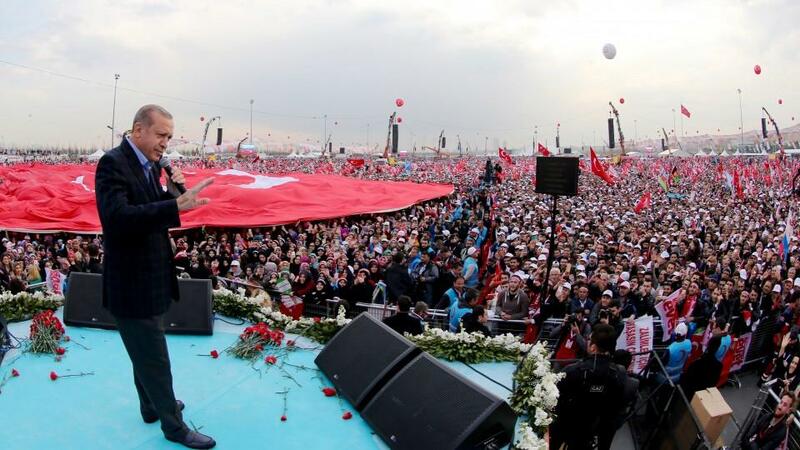 The Malaysian political leader Anwar Ibrahim – who was freed from prison last month following the dramatic election victory of his Pakatan Harapan alliance – was in Turkey this week where he was invited to give a talk on “The Future of the Muslim World”. The talk and the subsequent Q&A session has fortunately been uploaded on to YouTube and can be viewed by clicking on the link below. Anwar began the talk by recounting how two of the first people who got in touch with him following his release, the former Vice-President of the USA, Al Gore, and the popular Qatar-based Islamic scholar, Dr Yusuf al-Qaradawi, called him to say that the situation regarding democracy in the Muslim world had been a picture of gloom and despair and that the recent elections in Malaysia which saw the ousting of the corrupt Barisan Nasional government – which had been in power for almost 61 years – had given much needed hope to democrats everywhere. The victory in Malaysia was only possible, Anwar said, because the Pakatan Harapan alliance had gained the overwhelming trust and support of all sections of Malaysian society including the Muslim Malays but also the Chinese, the Hindus and the animist population. The Malaysian people spoke out resoundingly in favour of democracy, freedom and the end to the abuse of power. Regarding Mahathir Mohamad, who was responsible for the arrest and subsequent imprisonment of Anwar back in 1998, and is now Prime Minister again due to his role in the Pakatan Harapan alliance, Anwar said that he had forgiven Mahathir due to his support for institutional reform and agreement to strengthen the institutions of governance. 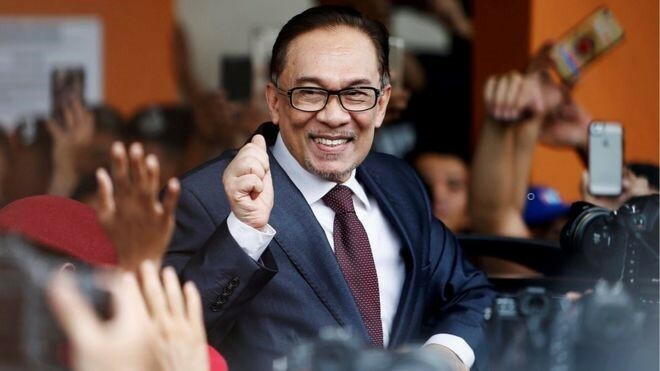 Anwar publicly acknowledged and thanked the Turkish President, Racep Tayyip Erdogan, for standing by him and his family when he was imprisoned and for being prepared to courageously speak out on issues that mattered to the Muslim masses including the Zionist dispossession and persecution of the Palestinians and the Burmese junta’s genocide of the Rohingya minority. He added that Erdogan’s wife Amine had visited the camps of the displaced Rohingya in Bangladesh to learn about their situation first-hand. The Qur’an describes the Prophet Muhammad as “uswatun hasanah” (Qur’an 33:21) – a good example – and Anwar urged Muslim governments to similarly lead by example instead of just issuing fine words and then failing to back them up with correct actions. The key issues facing many Muslim countries included good governance, establishing a free media and an independent judiciary. He said too many Muslim governments were mired in the deepest hypocrisy whereby they would talk about their respect for Islam but would happily imprison their citizens and leave them to rot in jail for years on end for unjust reasons. The video is about 75 mins long and the introduction to Anwar begins at 09:21 into the video. 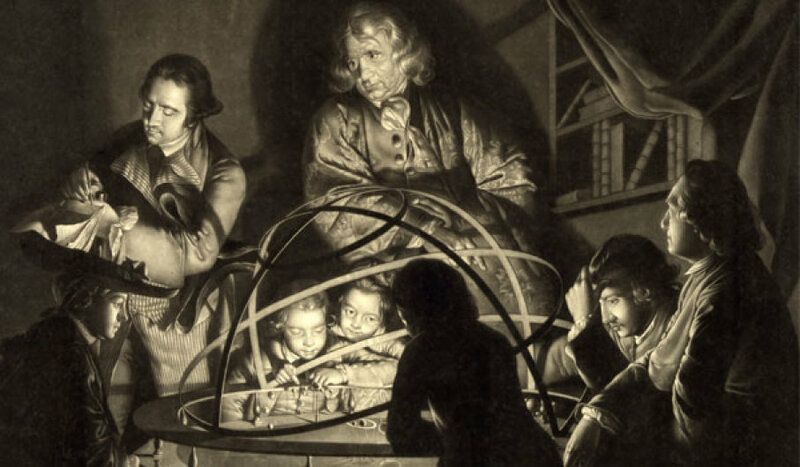 I have written previously on several occasions (see here for an example) about the influence that Professor Kenneth R. Miller’s splendid book “Finding Darwin’s God” had on me. Miller, a believing Catholic, very persuasively tackled a series of common objections to Darwin’s important theory and explained just how crucial it was to our understanding of the natural world. In the years since, I have recommended Miller’s book to many Muslims who have come to me with questions about evolution and the feedback I have received has always been very positive. 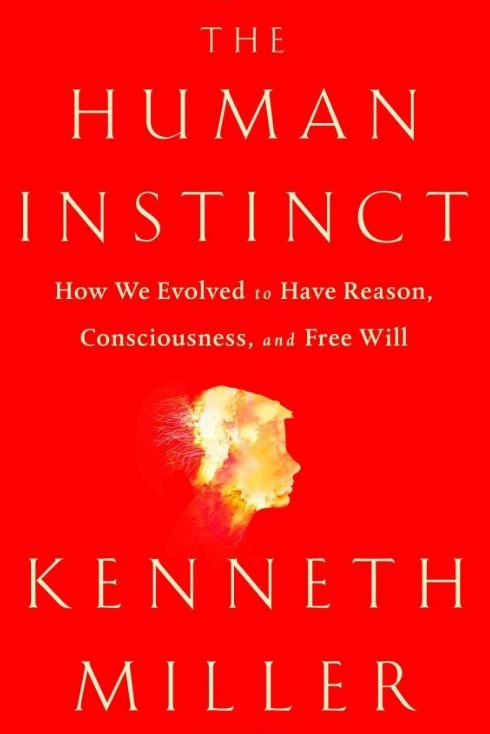 So, it was with a keen sense of excitement that I learned that Miller had just published a new book, The Human Instinct, this time tackling the issues of free will and consciousness and humankind’s place in the world. One of the most common reasons for rejecting evolution is surely a fear that we would be relegated to being just another animal. Are we just another animal sculpted by evolution? Yes we most definitely are, insists Miller, but he points out that this is certainly not the end of the story. Along the way to establishing the key unique characteristics of human beings, Miller takes aim at some evolutionary psychologists who would seek to reduce all our behaviour simply to adaptations caused by Natural Selection. There is no question that we are part of the natural world and that we evolved from earlier species and share common ancestors with the rest of the natural world. So what does Miller mean to tell us with his statement above that we “are able to transcend” those origins? Miller provides a telling example. He cites a Canadian study which found that stepchildren were 120 times more likely to be beaten to death by their stepfathers than children who were killed by their genetic fathers. Miller points out that this study was not a one-off. Similar results have been found in other studies in the US and elsewhere. This is a “chilling” statistic as Miller says, and appears to provide data to back up the thesis that there is a greater likelihood that stepfathers will kill children not related to them to ensure that their resources go only to their biological offspring and not unrelated children. That seems to be sadly true judging by the data, yet Miller refuses to allow the argument to rest there. He delves deeper and finds that the actual rate of stepfather infanticide in Canada was 321.6 per million i.e. the frequency of such tragedies was less than 1 in 2500. Miller also looks at the current arguments promoted by the neuroscientist Sam Harris and others that seek to portray free will as being an illusion. The argument for behavioural determinism goes something like this: we, including our brains, are made of atoms. These atoms obey physical laws. Hence, there is no room for free will. What we think of as “our choices” are in reality made by our brains in advance according to physical laws. Miller disputes this line of reasoning and says that if we lack free will then our scientific logic itself would not be valid. We would no longer be able to claim we are making decisions on the basis of evidence and reason because our “reasoning” would be due to a combination of “genetics, circumstance, and uncontrollable external stimuli.” So, the argument that free will is an illusion would appear to undermine the whole of the scientific endeavour. Miller’s book can be regarded as a welcome pep-talk to remind humankind that although we are creatures of evolution that is not something to be ashamed of. Indeed, there is something truly unique to celebrate. Miller’s latest book contains evidence of his prodigious reading and mastery of his subject matter on virtually every page and this makes for a wondrous read.